i keep saying this, but i’m so sorry for not posting here ! junior fall has been über busy, and i have had little to no time to myself for things like blogging or reading. i’ve written so many papers, read so many textbook pages, done so many math problems, stressed so much about my future. school has taken over my life. it was manageable for me to read a book per week last year, but this fall, that has not been the case. imma try harder this winter to make more content on the blog! i have however been listening to a ton of pods lately on the bus to cross country meets and when i’m folding laundry in my dorm room. i love making podcast recs, so here’s part two! if you read part one of my podcast recommendations, you’d probably know that i loVE dear hank and john, a podcast by hank+john green. it’s so hilarious and super fun to listen to during commutes to track meets and whatnot. the Anthropocene Reviewed is a little different– it’s not so funny, but it is super interesting and i’ve learned a heck ton of random facts from it. essentially john green rates two random human created things on a five star scale based on their values to him and their legacies in human society. perfect for: that person who loves learning random facts and trivia, that cinnamon roll who is fascinated by everyday life. Unerased is a podcast created in conjunction with the release of the Boy Erased movie (which i have yet to see, but i will at some point…possibly). it’s about the history of gay conversion therapy in the United States, covering topics like the modernization of psychology and what conversion therapy is actually like. unfortunately, the series is only 4 episodes long, so it’s over now, but i found it super intriguing. i wish the show had delved a little deeper into the history, but a good listen for the plane nonetheless. another show by the hank green ! this one’s new, and if you’re familiar with the youtube channel Sci Show, you might be interested in this pod! it discusses science in a gameshow type of format, and even though i’ve only listened to one episode, i’m super excited for all the new content coming up soon. the first episode on science hoaxes was already so so interesting. i have HIGH HOPES for this pod! another podcast new to me, but so informative. 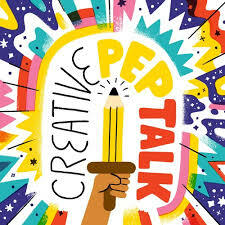 i struggle a lot sometimes with keeping myself motivated creatively to make art + blog + also prioritize my schoolwork, and this podcast has given me some great tips for the creative side of things. pit also talks about the business side of art which is great for those of us who are clueless about that (ME). if you’re an artist looking for a podcast by artists for artists (that’s a mouthful), this one is perfect! part of my goals for the new year, is to MAKE MORE ART and focus in on one area of expertise, which the pod has helped me materialize. i also can’t stop looking at the cover art lol. it’s so cute. perfect for: creatives who want to up the quality of their content and stay motivated. i hope to start listening to this one on my own more (see: in my dorm room) in the new year perhaps, but for now, i’ll reserve it for the car. Heavyweight just returned for another season and i can’t wait to dive into the new episodes. idk exactly how to explain this show, but basically, it’s like about people’s regrets & secrets, and especially these things in respect to how they affect their friends’/family’s lives. i didn’t explain that well, but give it a try y’all! i would recommend starting on the episode called “Rose.” it felt almost like a thriller listening to it, and I WOULD RECOMMEND. JUST LISTEN. NO REGRETS. are there any podcasts you’d recommend me? (particularly about art or books pls?) what are your FAVE podcasts of late?